Though it used to be a steel manufacturing city, today it is home to many businesses in the health, education, technology and financial sectors. It is also a very livable and clean city. 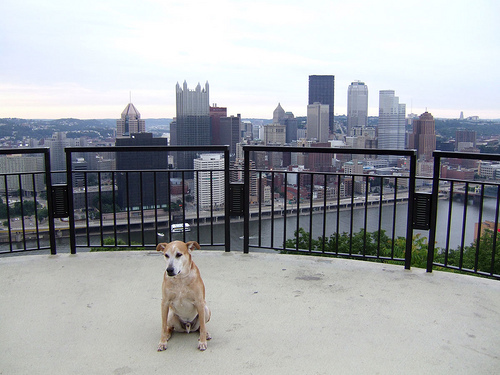 Because of such resources and economic revitalization, Pittsburgh is also a nice place to go on vacation with your dog, and also has a few parks to explore. The Hartwood Park has 629 acres of space, which includes an unfenced off-leash dog area, which is on Middle Road, by the ampitheater. Leashed dogs are allowed in the remainder of the park, but not in any of the buildings. This park sometimes holds concerts and other events, where your leashed dog can accompany you. 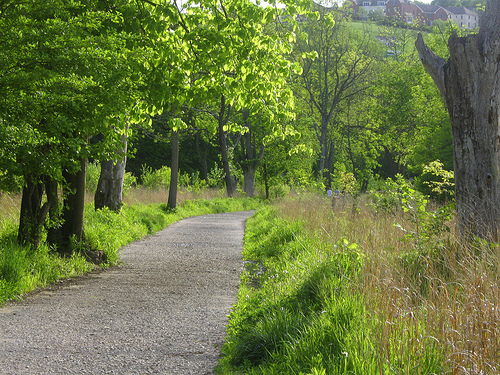 Frick Park is one of Pittsburgh’s largest parks, at 561 acres, and is known as the woodland getaway for its area. There is an off-leash area that is half a mile after the Blue Side Playground on the Riverview Trail. The rest of the park has pleasant trails where leashed dogs can walk or jog with owners. Highland Park features the city’s water reservoirs, picnic groves, a pool and water for fishing. 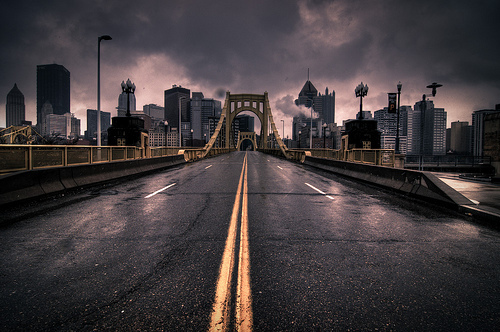 It is also home to to the Pittsburgh Zoo and Aquarium. Leashed dogs are allowed to accompany you at this park, but must stay away from the playgrounds and gaming courts. Point State Park is at the confluence of the three rivers, and is full of great views, historical markers, a fountain and trails that go into other parts of the city. It takes up 36 acres, and dogs can join you on leash. This trendy restaurant serves American and European-style foods. They do not have an alcohol license, so you should bring your own. Dogs are allowed at the outdoor tables. This is a bar and restaurant that serves American-style food. Dogs are allowed at the outdoor tables. This is a little cafe that serves coffee and baked goods, and they offer free Wi-Fi. 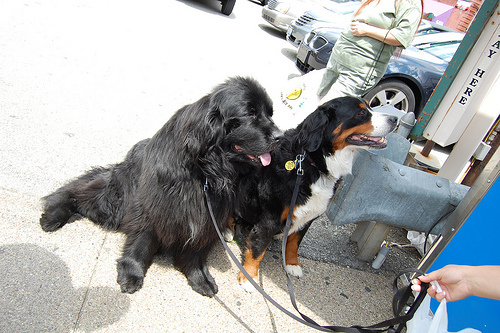 Dogs can join at outdoor tables.